When you decide to sell or trade your coins or bars, we appreciate the opportunity to purchase them at current market price and we do not charge any additional fees. With a phone call, we can secure transactions for you, whether you’re seeking to liquidate, need an appraisal, or trade a position in bullion or in rare coins. For peace of mind all of our shipments are insured through Lloyd’s of London for $75,000.00 per package up to $450,000.00 per shipment. Call 1-877-334-4990 to talk to one of our Precious Metal Experts to lock-in your sales price. We can send boxes to you via Fedex at our expense. 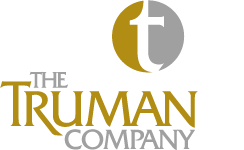 Package and ship your coins and/or bullion to The Truman Company using our Fedex account number. When your coins or bars arrive we send your check the same day. Call 1-877-334-4990 to talk to one of our Precious Metal Experts to lock-in your trade. When your coins or bars arrive we call you to set-up a time for delivery of your precious metals. Call 1-877-334-4990 to talk to one of our Precious Metal Experts about your metals. When your coins or bars arrive we will appraise your precious metals within that business day. We contact you letting you know the value per coin or bar and you then have 3 options. Liquidate my coins and send my check. I agree to trade and send my coins or bars. Keep in mind the convenience and security involved in our transactions. You don’t spend a minute in line at the Post Office or a single penny for postage. All of our packages are insured through Lloyds of London. Our A+ Better Business Bureau rating ensures confidence.